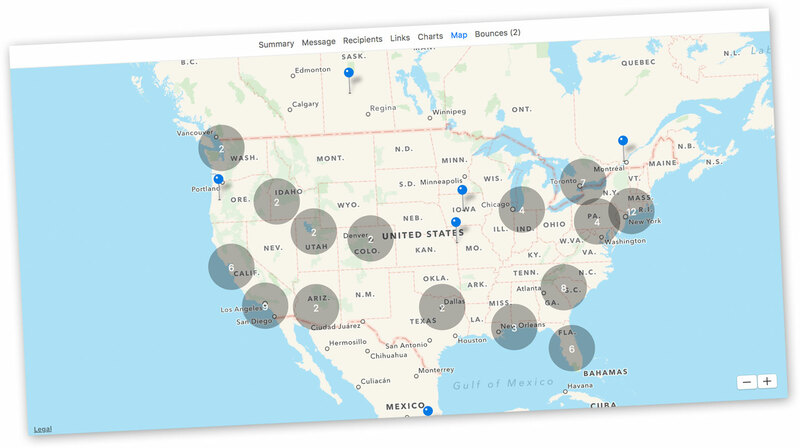 The campaign report map now uses Apple Maps instead of Google Maps. You’ll find that the map loads faster, looks better, and feels more natural on your Mac. The clustering algorithm has been improved to make it easier to see where a majority of your subscribers are located. Dragging and dropping images from your web browser right into Direct Mail now works seamlessly. No need to download the images first before adding them to your message. Upgrading to the latest version of Direct Mail is super easy: just choose Direct Mail > Check for Software Update from the menu bar at the top of your screen. The update will be downloaded and installed automatically. If you’re using the Mac App Store version of Direct Mail, the App Store will upgrade Direct Mail for you behind the scenes. Thank you for the valuable feedback, comments, and questions that you contributed to help make this a high-quality release! We wish everyone a Happy New Year and look forward to an exciting 2016!